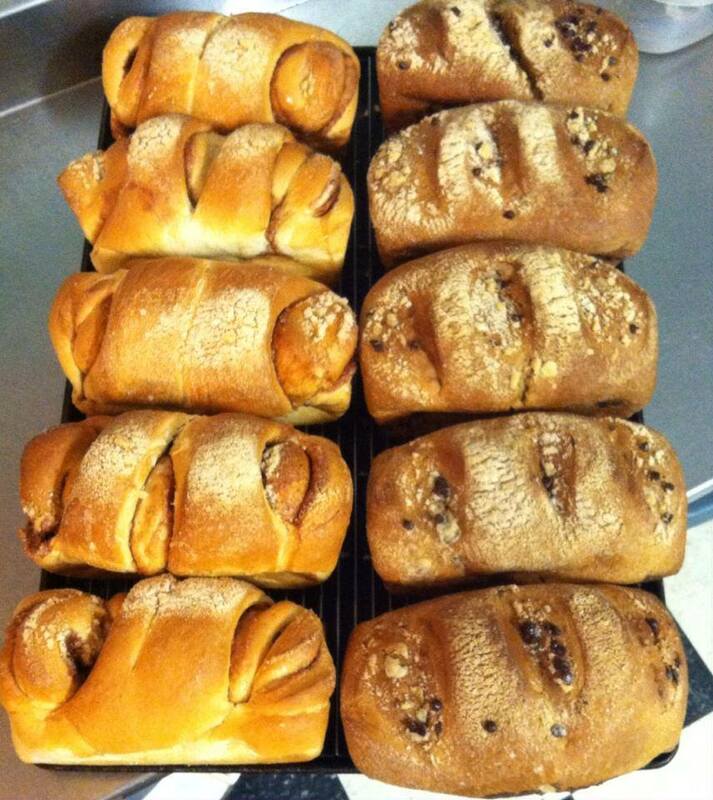 Our bread is made in-house, from scratch without any artificial preservatives. Our mountain bread with a swirl of cinnamon sugar through the center. Makes seriously good french toast. White bread made with coarse wheat flour, giving it a robust texture. 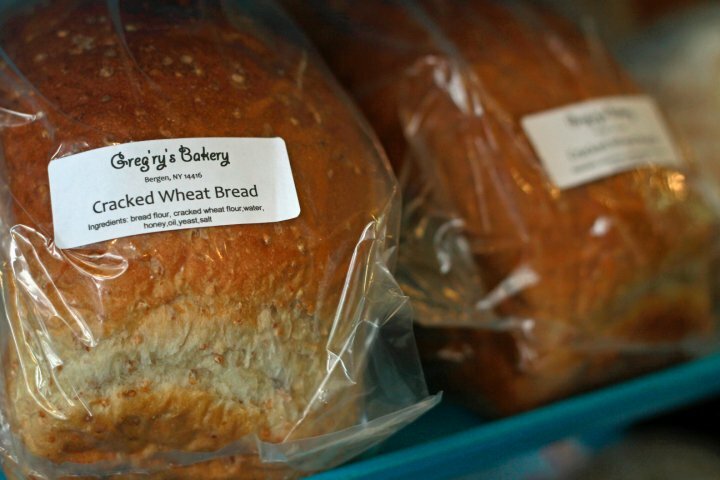 Sold by the dozen, we offer White, Cracked wheat, Mountain, French knot, and Oatmeal rolls. 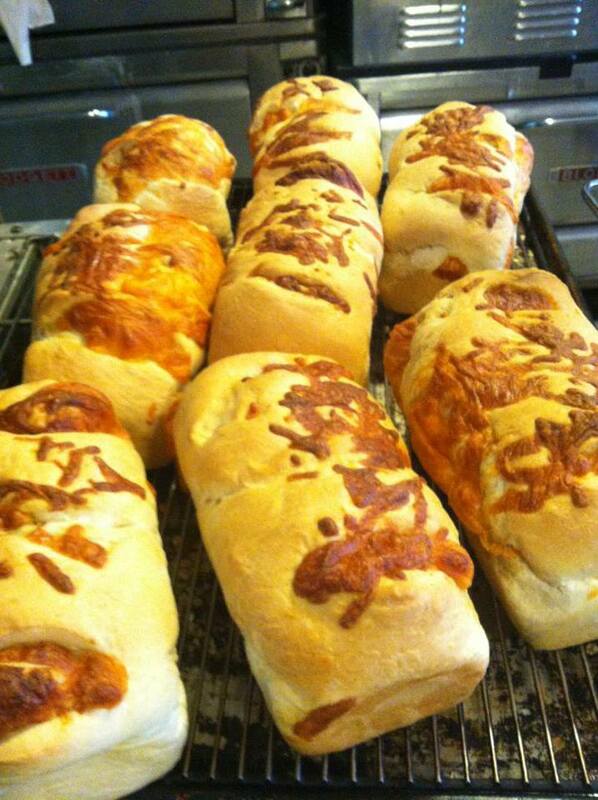 Our Italian bread swirled with cheddar cheese and garlic. Soft crust Italian bread. Pairs great with garlic and spaghetti. 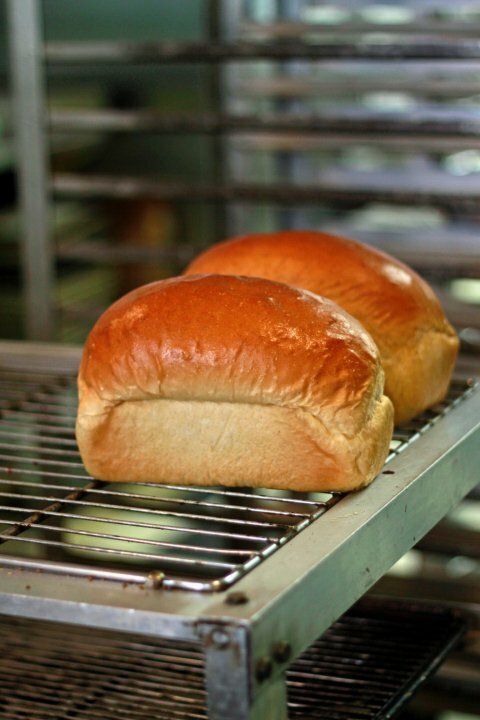 Our signature bread bears a striking resemblance to White bread. 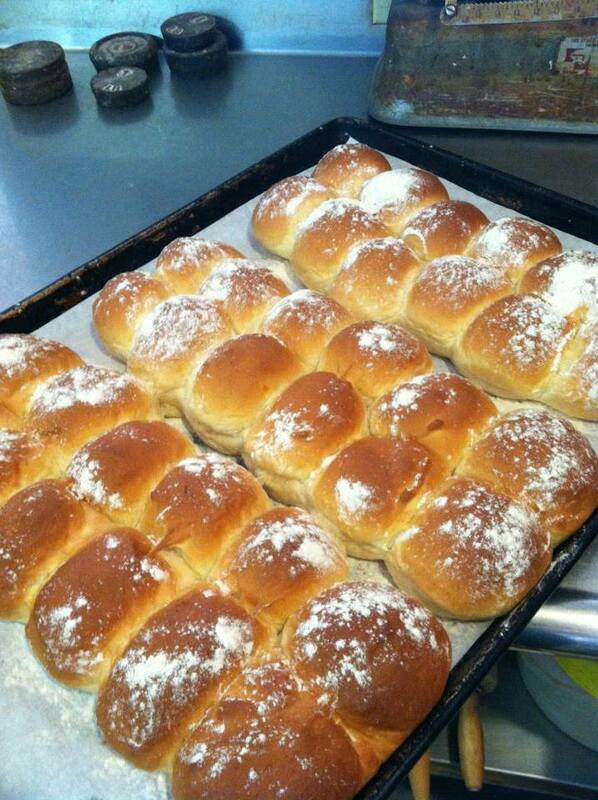 It is a touch sweeter and sprinkled with flour. A hearty mixture of grains, oats, and seeds. A light bread brushed with honey and topped with oats. 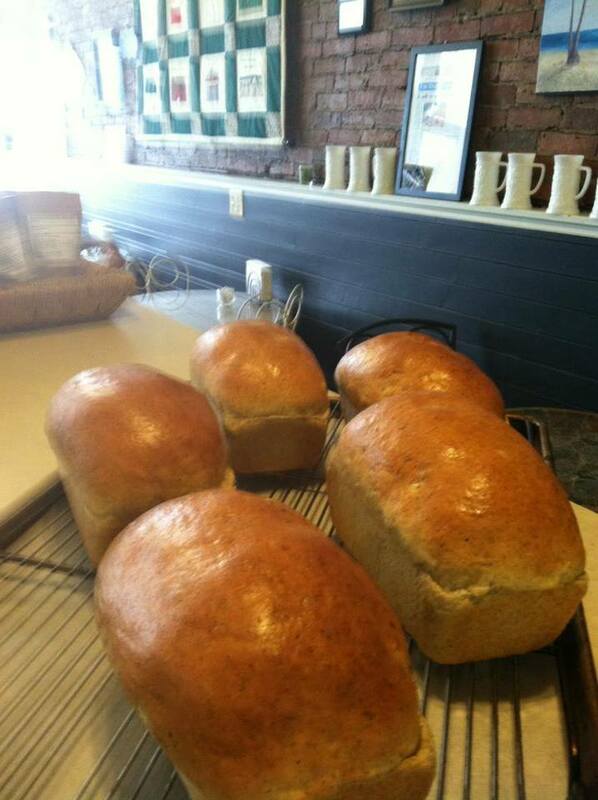 Round loafs made with real rye flour and available with or without Caraway seeds. A dense white bread with a rich history. It has a delightful flavor that is best described as nutty. Makes a mean grilled cheese sandwich. Classic white bread. Better than store-bought. A mixture of whole wheat, white, and coarse wheat bread flour. Our whole wheat bread mixed with raisins and a pinch of cinnamon. Healthy and hearty. Made with only whole wheat bread flour. 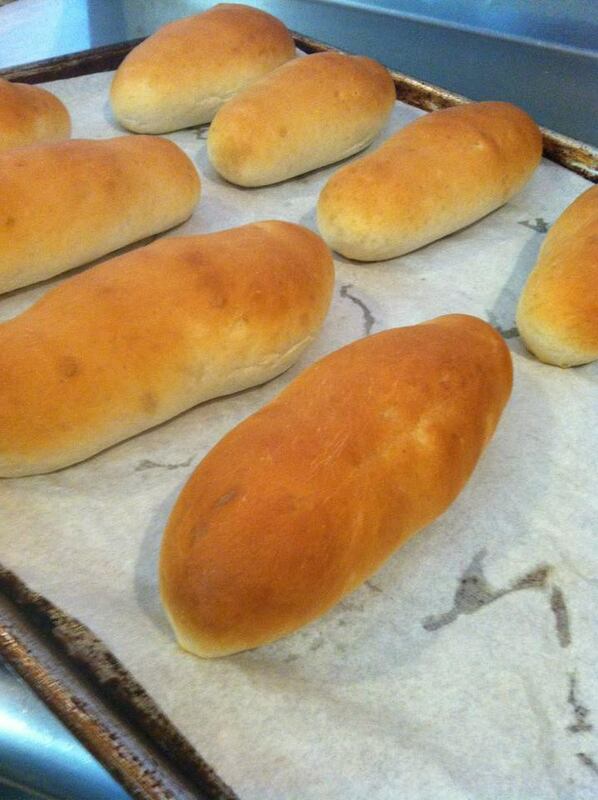 We offer white, wheat, kimmelweck, sub, and hotdog rolls by special order. Breads offered seasonally or by special order are Cranberry orange, Bread of the Dead (flavored with Anise), Apple Streusel, Pumpkin Raisin.